Stories need passion to come to life. How do you write with passion when life interferes so much? This year has been full! We’ve had a new grandbaby (he’s a kick! ), a wedding (stunningly beautiful), my daughter and new son-in-law moved to a new state (oh, aching heart), we took a trip to Boston and Nantucket (Wow! ), a friend’s family is in full-tilt (shared tears), and walked through any of the dozens of other family situations that occur in a typical family. 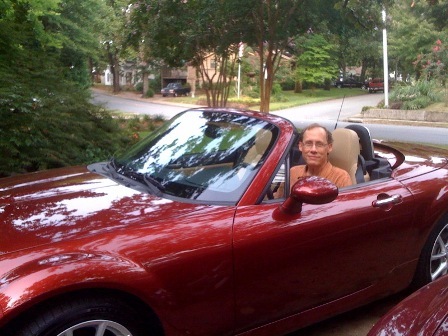 Oh, my DH bough a new car, too. It gives me great joy to see his pleasure in driving it! I did write through all this. Of course, I wrote! I finished a non-fiction project. I started a new novel: it’s plotted, has character sketches, did research for certain aspects of it, and rewrote a first chapter in about 5 different voices until I’m happy with it. But the new novel never really caught my passion. I’m interested, love the premise, think the characters have great potential and I’d really like to read this book. Really. But somehow, the passion never came. The drive to get to the computer to see what happens next, to make the next section come to life. So, one day, I started reading through all the old novels that life in bits and bytes on my computer and — well, one caught my interest. It’s a novel that was too edgy when I wrote it, and now, seems tame in comparison to today’s edgy. But, with some work, some revision, maybe. . .
Last week and this week, I can’t wait to get to the computer and work. This is the right story to be working on right now: its time has come. Sometimes, we wander through this writing life not knowing what to work on next, where to turn. What story would sell the best, what would please editors or readers? Wrong questions: where’s the passion? I know I”m doing some of the best work I’ve ever done on this story because, finally, I’ve found a story that excites me. Finally, I care.